Copyright © 2012 SOS Horses. All Rights Reserved. Matthew has been in the business with his parents, all his life, he is a keen rider to hounds, loves a good jumping day, so is in the happy position to pick his meets now. He currently has two smashing big hedge jumpers to enjoy, Zortin and Encourage. Matthew is responsible for all the breaking of young horses, and has great empathy with them, giving them a good start in life. 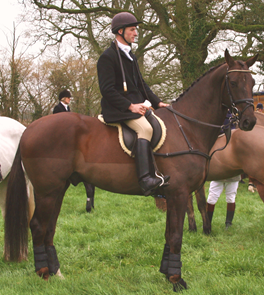 Georgia is a keen dressage rider, having retired from eventing in 1999. She has been importing and training Dutch horses since. Competing up to Inter 1 level. 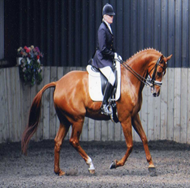 Her current top horse is S.O.S Talented Mr Ripley, who is a real contender, and very highly thought of, having qualified for the National Champs every year since a 4 year old. Redvers, 13, has been in the saddle since he could hold his head up. 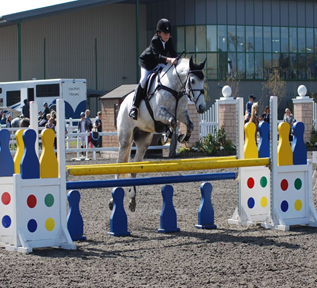 In the last 12 months has gained so much confidence, all thanks to his top pony S.O.S Top Scotty, who he has qualified for Blue Chip and Bath and West Championships, he is also a keen hunter with his dad, regularly seen on our fabulous pony stallion.